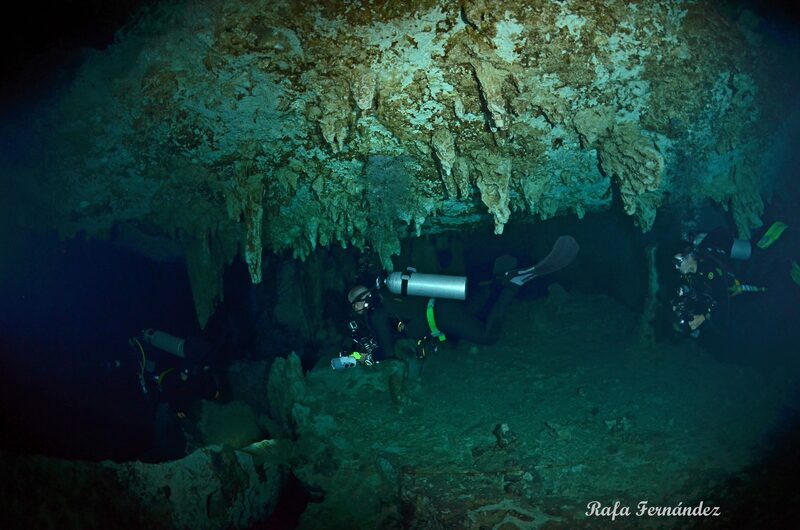 Cave Diving in Mexico is the best option for all of those scuba divers who are attracted to the bowels of the Earth. Without a doubt, these kind of specialities are capable of taking your diving experience to a new level. They offer new adventures and the possibility to see wonders that very few people will ever admire in their lives. However, it is important to know what makes these dives unique, not only from other standard open water dives, but also as to the different options you have. Because cavern diving and cave diving in Mexico are not the same thing, let’s talk about the difference. Cavern Or Cave Diving In Mexico: Are There Differences? Despite the fact that cavern and cave are practically synonyms in the dictionary, there are important differences to consider when we are talking about scuba diving. In both cavern diving and cave diving, there is a physical barrier between the diver and the surface which prevents a diver’s direct ascent. Nonetheless, during a cavern diving you will be receiving sunlight the entire time that you are exploring the cavern, and always be within emergency swimming distance from an opening to the surface. For this reason, practicing cavern diving you cannot go deeper than 70 feet (21 m) or further than 200 linear feet (60 m) from the cave entrance. In other words, if you don’t see natural light, you’re in a cave. One more thing; always, always, always cavern diving in Mexico is a diurnal dive. On the basis of the above, cavern diving in Mexico is a safe and fun recreational diving option. 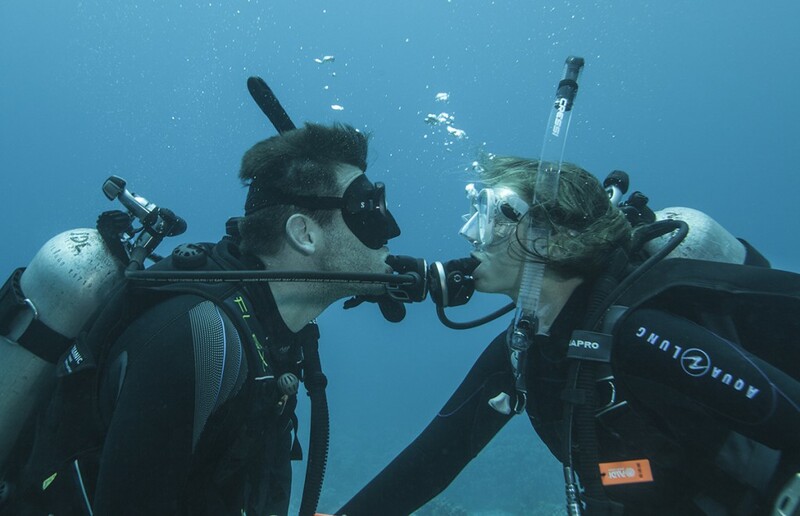 You are qualified to enjoy it if you have at least a PADI Open Water Certification or the equivalent from another federation and strictly follow your guide´s instructions. Where Can I Practice Cavern And Cave Diving In Mexico? 1) We will start with a huge cave system in Mexico. These are solution caves. These kind of caves which are formed over eons of time by water percolating through the ground forming underground aquifers. The largest underwater cave, with 215 miles (346 km) length, was discovered at the beginning of 2018 near the city of Tulum. There is a narrow relationship between these caves and the famous cenotes. In fact the Dos Ojos cenote is part of this cave as many others. After all a “cenote” is a natural sinkhole opened in a cave ceiling. You can know more about cenotes in our article Cenotes In The Riviera Maya. 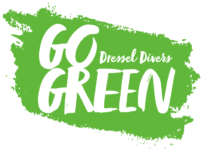 While the expert divers can practice cave diving in Mexico enjoying pools and underwater passageways, the recreational divers can enjoy cavern diving in Mexico with Dressel Divers´ “Cenote tour”. With this excursion you will be able to explore different sections into the cavern where access to the surface is always possible. You only need to be a certified diver, use normal diving equipment configuration, and have good buoyancy control. Of course, you will be accompanied by our Cenote guides. All of them are certified instructors and certified full cave divers. 2) Other interesting options are coral caves. They are the result of coral growth that form arches and create tunnels and passageways. 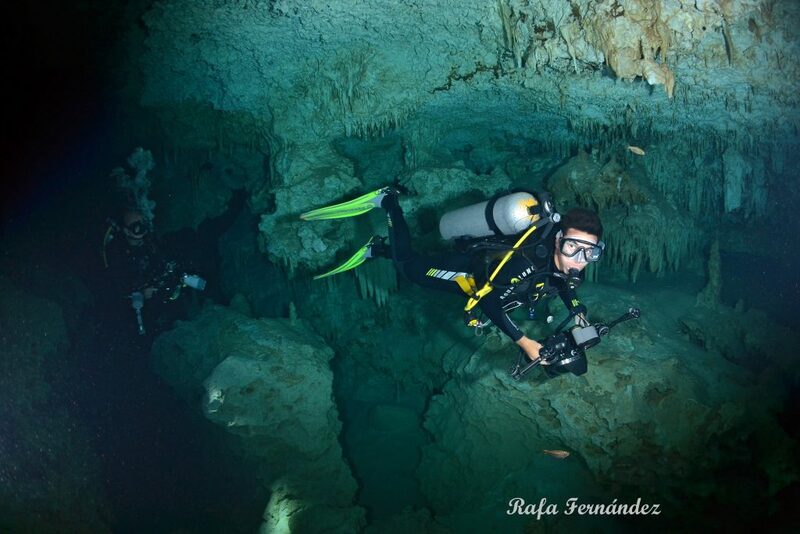 Where do you think you will be able to practice this kind of cavern diving in Mexico? As it could not be otherwise, of course Cozumel Island is the place. Do you know Palancar Caves, Punta Sur or Colombia reef? Don’t miss their incredible cavern swim-throughs! 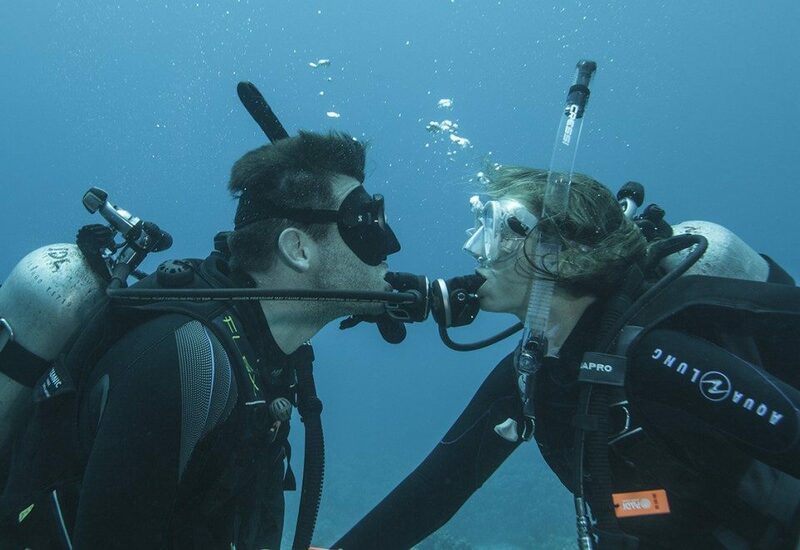 You only need to be a certified diver when diving them with our expert guides. 3) Marine caves are formed by waves´ action and you will find some examples in the Sea of Cortez and Baja California. 4) When lava flows from a volcano into the sea it may cause lava tube formations. The main reason why this natural phenomenon happens is because the surface of the flow cools and hardens while the molten inner core keeps flowing. In spite of the Gulf of California intense volcanic activity, the most famous Lava tubes are in Hawaii. In summary, you can glide yourself into a vast underwater cave as a technical diver practising cave diving in Mexico. If not a cave diver, not a problem, you can go cavern diving and watch their majestic stalactites and stalagmites rise to meet you or you can enjoy the crystal-clear water and the vibrant life all around coral caves, as a recreational diver. So, tell us. Cavern or cave diving in Mexico; what do you prefer? Feel free to share your comment with us. 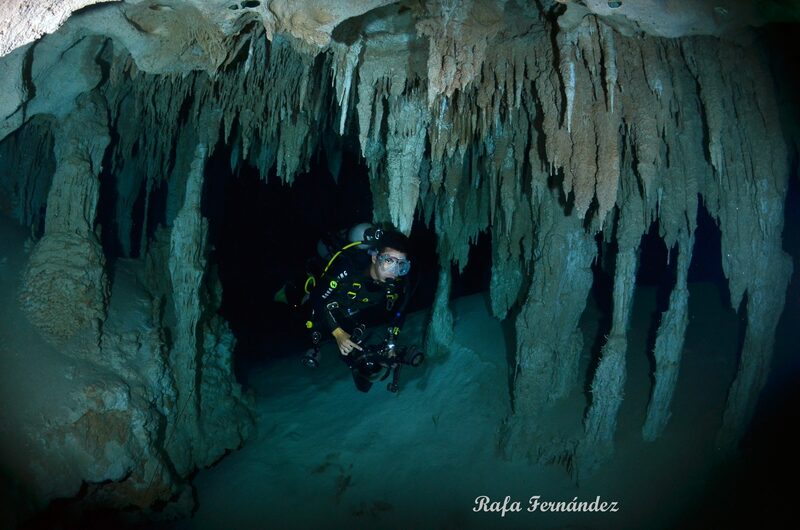 Would you like to practice cave diving in Mexico? Drop us a line!